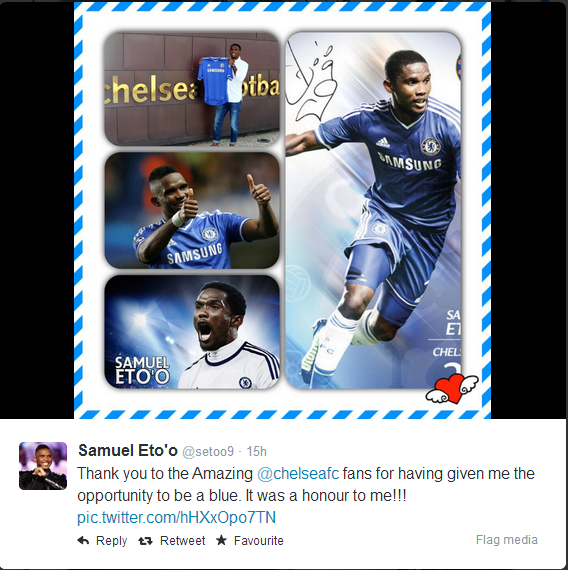 Samuel Eto'o sends a message at Chelsea fans as he leaves the club. Samuel Eto'o is now a free agent after Chelsea confirmed that he has left the club once his contract had expired on 1st July. 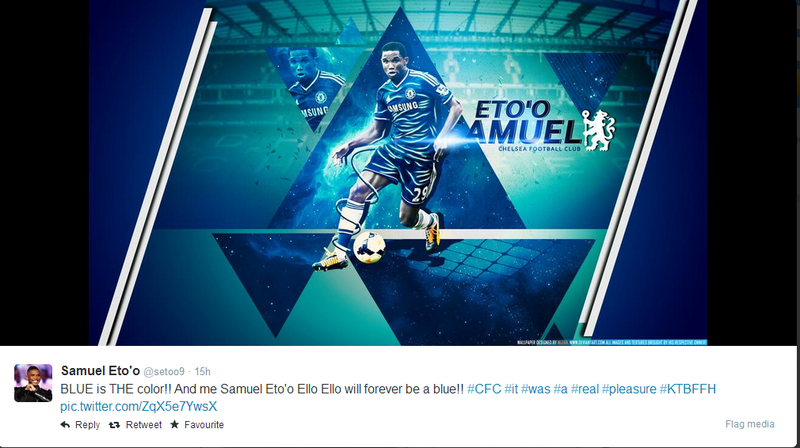 Shortly after it was announced by Chelsea, Eto'o posted a couple of messages on his Twitter account for Chelsea fans all over the world and described it was an honour to have been a blue. Stating that Samuel Eto'o will "Forever be a blue" it's clear that his time in London made an impact on the Cameroon International. Being honest, when he came to the club, I never thought he would make the impact he did with his performances, his hunger for the game, his goals and his personality. Who will ever forget his jibe at Jose Mourinho after comments about his age. Samuel Eto'o was the difference in certain games last season and rightly so at the time, started as the main man up front. So I would like to say "Thank you" to Samuel Eto'o for his contribution to our season and I would like to wish him well for the future!